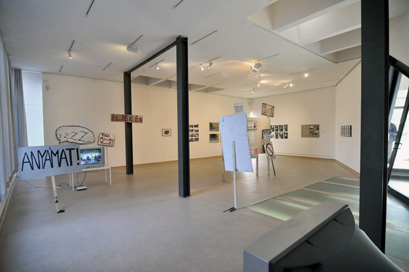 The central theme of the exhibition is the social and artistic potential of agency and provocation: to examine whether the activity of the dissident artists in Eastern Europe’s party states critically addressed the regime, and whether they were concerned with proposing artistic, social and political alternatives in relation to actual problems. One kind of artistic response to the dictates of cultural policy was to consciously turn away from social issues and deal with art-immanent and conceptual experiments, or work on expanding the means of artistic expression—in the face of expectations that art should reflect socialist values and serve to represent the building of socialism. At the same time, the regulations and prohibitions pertaining to social behaviour as well as the constant intervention and control of professional and political authorities undoubtedly radicalised a number of artists. But it is still difficult to assess the critical charge of the artistic positions and attitudes that emerged in this arena. aspects of the totalitarian, or later paternalist, system also extending control over the private sphere, whereby modes of affronting these efforts are also lesser discussed. Another known but scarcely addressed phenomenon is how the circle of progressive artists of the era was united in its opposition to the common enemy: state power, and how this union entailed a slackened awareness of some oppressive and anti-democratic features of the prevailing order that affected other social groups—especially when those oppressive features were not peculiar to socialism as a system. The exhibition deliberately lines up life strategies that assign the private sphere as the terrain of resistance against the social order–in the midst of a strongly male dominated official and “parallel” public sphere. The works exhibited in the Small Gallery present cases in which public interaction, dialogue and interpersonal communication as well as the expression of opinion is feasible but often takes absurd forms. Recalling the expressions and phrases used to communicate commands and prohibitions under socialist rule can be helpful in understanding the kind of parodies and language use of the counter-culture, their recourse to the techniques of doublespeak or double negation, overidentification, and self-censorship. The impact of the political and economic system change can nowhere be so clearly traced as in the public space. The exhibition at the ICA, too, is accompanied with public art projects unfolding in public space. Throughout the past twenty years, much of state socialism’s collective occasions as well as the characteristic urban zones hosting them have disappeared. Past events have been replaced by new festivities of the democratic successor states or politically motivated protests and demonstrations organised by single-issue interest groups. The property relations of common goods have also changed; a new array of privately owned leisure or consumption spaces and services have appeared, often only offering limited or selective access. The usage of public spaces has thus been modified, and this entailed the decline of their centralised maintenance. From the perspective of the formation of civil society, the fact that public space has increasingly become the arena of fights and campaigns defined by domestic politics, also has enormous importance. Agents & Provocateurs — an exhibition featuring the work of over 30 international artists — surveys certain forms of confrontation: agency and provocation, both understood as dissenting artistic attitudes. Suggesting a tension between the shock value of the „épatez le bourgeois”- attitude and more agentic, dialogical forms of confrontation, the show highlights instances when artists think of themselves as social agents. Within the counter-cultural scenes of state-socialist East Central Europe, provocation was a frequent vehicle of artists‘ defiance. Agents & Provocateurs asks what sort of critical potential these oppositional artistic strategies really had, and how they impact an ongoing transformation of political culture in post-totalitarian times. Is the continuing practice of provocation sustainable or dysfunctional in democracy, or does it reproduce patterns of thinking and acting that were acquired under an authoritarian system? Certainly, any political, economic, social or cultural system has its oppressive features and unjust hierarchies. Juxtaposing artistic interventions from state socialist times with contemporaneous and current examples from allegedly more democratic political contexts, Agents & Provocateurs explores how genuinely critical attitudes need to reconfigure again and again in order to capture any given system’s deficits. 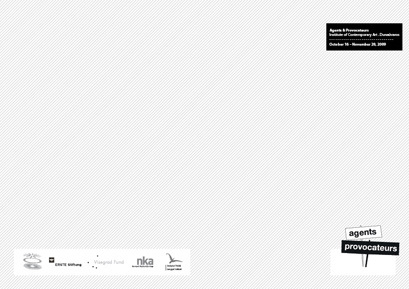 Agents & Provocateurs has been initiated and conceptualised by Beata Hock and Franciska Zólyom and was presented for the first time at the Institute of Contemporary Art - Dunaújváros, Hungary in October 2009. Agents & Provocateurs originally consisted of an exhibition, film program, lectures and workshops. 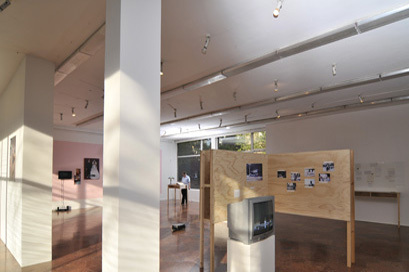 As an afterlife of the show at the Institute of Contemporary Art in Dunaújváros, a revisited and complemented version of the exhibition was shown at the Hartware MedienKunstVerein in Dortmund in 2010. Digital Audios presents "Budapest Nights"
Wednesday March 10, 2.30 p.m. - 7 p.m.
Tuesday November 10, 7.30 p.m.
date: Tuesday November 3, 7.30 pm. When assessing the critical force of Eastern European counterculture, confrontations with state power usually come in the forefront, and less attention is devoted to other aspect of the totalitarian, or later paternalist system to also extend control over the private sphere, and so modes of affronting these efforts are also lesser discussed. Another known but scarcely addressed phenomenon is how the circle of progressive artists of the era was united in its opposition to the common enemy: the state power, and how this union entailed, however, a slackened awareness of some oppressive and anti-democratic features of the prevailing order that affected other social groups, especially when those oppressive features were not related to socialism as a system. The exhibition deliberately lines up life strategies that assign the private sphere as the terrain of resistance against the social order–in the midst of a strongly male dominated official and “parallel” public sphere. In totalitarian regimes public interaction, dialogue and interpersonal communication as well as the expression of opinion is kept under observation or at least restricted, and thus often take absurd forms. Centralised control during state socialism, however, was far from being complete and consistent, which created countless gaps where to form (partial) publics. Recalling the contemporary expressions and phrases used to communicate commands and prohibitions can be helpful in understanding the kind of parodies and language use of the counter-culture , their recourse to the techniques of doublespeak or double negation, overidentification and self-censorship. 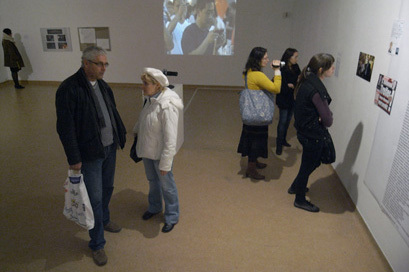 The central theme of the exhibition is the social and artistic potential of agency and provocation, and one of its goals is to examine whether the activity of the dissident artists in Eastern Europe’s party states critically addressed the regime, and whether it was concerned with proposing artistic, social and political alternatives in relation to actual problems. One kind of artistic response to the dictates of cultural policy was to consciously turn away from social issues and deal with art-immanent and conceptual experiments or work on expanding the means of artistic expression in the face of expectations that art should reflect socialist values and serve to represent the building of socialism. At the same time, the regulations and prohibitions pertaining to social behaviour, as well as the constant intervention and control of professional and political authorities undoubtedly radicalised a number of artists. Many examples in the exhibition show how artists reveal and counterbalance the faults and imperfections of current democracies. The themes addressed include the updated and more subtle mechanisms of surveillance, nowadays also interconnected with data trading; the intertwining of political and economic power; the thriumph of consumerism that came to replace ideological brainwashing. 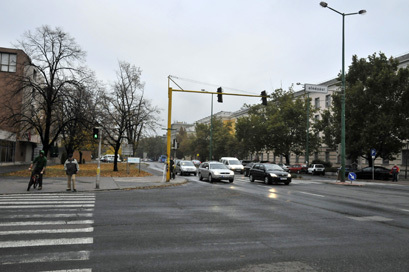 The impact of the political and economic system change in Hungary can nowhere be so clearly traced as in the public space. Throughout the past twenty years, much of state socialism’s collective occasions as well as the characteristic urban zones hosting them have disappeared. Past events have been replaced by new festivities of the democratic successor states or politically motivated protests and demonstrations organised by single-issue interest groups. The property relations of common goods have also changed; a new array of privately owned leisure or consumption spaces and services have appeared, often only offering limited or selective access. The usage of public spaces has thus been modified, and this entailed the decline of their centralised maintenance. From the perspective of the formation of civil society, the fact that public space has increasingly become the arena of fights and campaigns defined by domestic politics, also has enormous importance. The efficiency of socially engaged art has been repeatedly questioned. Usual responses to this query hold that art and artists need not offer solutions or actual models of action; what is essential, and sufficient, in their approaches is a dedication to address social problems. By contrast, the above notion of agency appreciates artistic approaches that do not limit the deconstruction of the modernist concept of art to creative methods, but do also destabilize the kind of narcissistic-heroic image of the artist rooted in the idea of autonomous art. In the place of such an image, the artist as social actor is proposed. Neither agency, nor provocation is a term intrinsically inherent in art theory. Provocation still has a considerable record in art history since the image of the avant-garde artist is almost inseparable from a drive to attack social norms, create disturbance, and shock people. It is a lasting dilemma, however, whether or not the provocative gesture is capable to mean more than its own provocative nature. Provocation may be one of the few adequate critical acts under a political rule that forces dissenting thinkers to passive opposition. Under such circumstances, consciously provocative acts and forms of social or artistic expression that are merely judged so by authorities, are often conflated though. It is a crucial question in post-totalitarian contexts, as well as in other geopolitical locations, whether or not the individual is capable and willing to take advantage of the social roles and spaces of action open for him/her? It is equally important to map how the logic of the market affects the critical orientation of artists. Would the market routinely co-opt provocative artistic gestures conforming them to the demands of a spectacle-hungry culture industry?